Fiesta Inn Puerto Vallarta Isla is a 4* hotel located in Puerto Vallarta-Northern Hotel Zone, Mexico. It features 144 rooms and swimming pools. 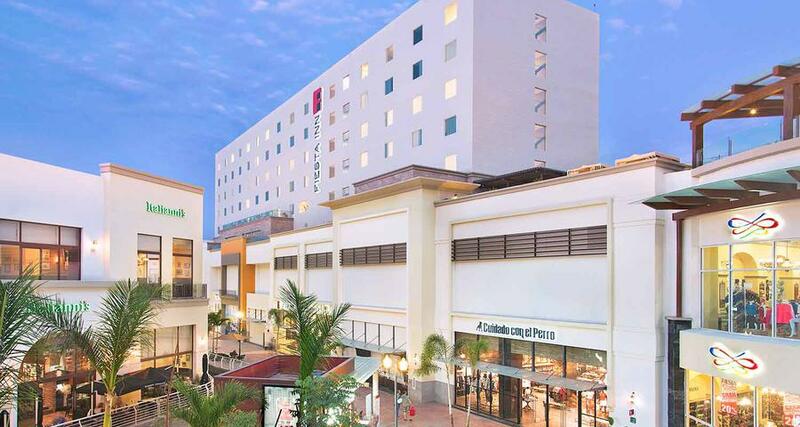 Fiesta Inn Puerto Vallarta Isla features an excellent location in La Isla shopping mall in Puerto Vallarta. It is an ideal base to explore the beaches and attractions around the city. It is also perfect for business travelers looking for a relaxing atmosphere and executive amenities. This hotel has a restaurant, a business center, 24 hour room service, a gymnasium, and an outdoor pool. In addition, Fiesta Inn Puerto Vallarta Isla features modern guestrooms with air conditioning and practical amenities, like a work desk, wireless Internet access and a safe.